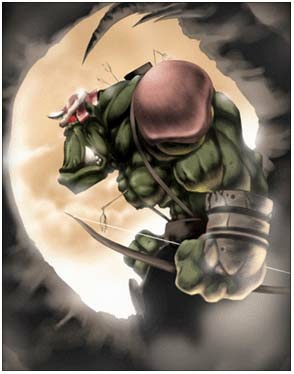 A ranged Orc soldier who is vigorous and never miss the target. Received severe combat training from an early age, it has perfect combination of strength, Range and accuracy. Be careful when you're fighting against it, Otherwise you will be shot by the arrow and die!